Pest description and damage The adult male moth is brown to gray, about 1 inch across. During the day, the male flies in search of the wingless adult female. 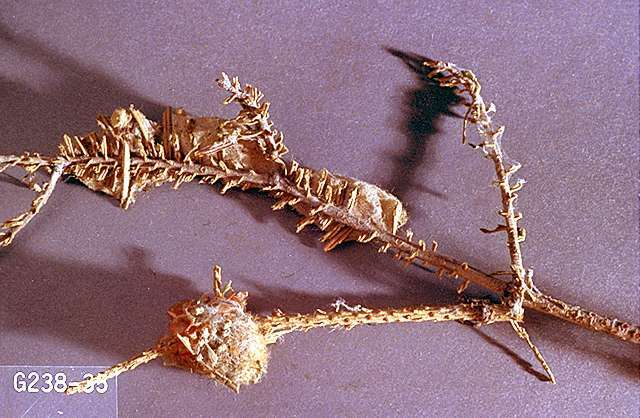 Once mated, the female moth lays eggs in a cluster. The hatching larvae are dispersed by drifting about on a thread in the breeze. Mature larvae are about an inch long, hairy, gray or light brown, with black heads. They are distinguished by three long tufts of black hairs on their body (two in front, one in back) and lighter tufts along their back. 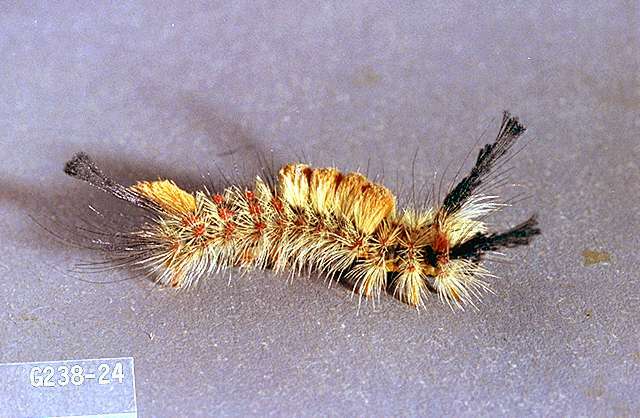 The hairs from tussock moth caterpillars break off easily and may cause skin or respiratory irritation. The preferred hosts are Douglas-fir and fir, but also include spruce, pine, and larch. 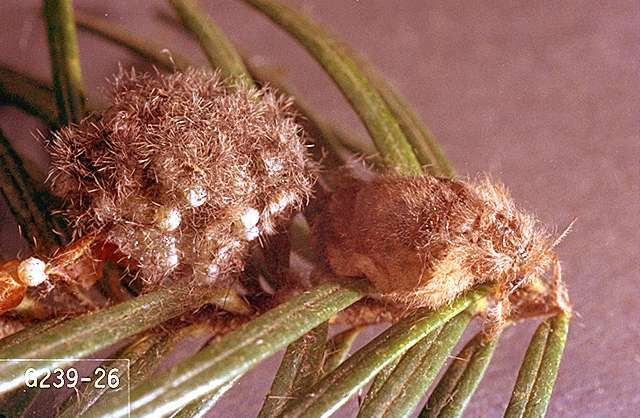 The larvae feed mainly on forest trees and are infrequent pests in the landscape. The larvae start at branch tips at the top of the tree and work down, feeding mainly on the new foliage and causing severe defoliation.